Having good product images is important for promoting your business, particularly if you are selling merchandise online or if you are selling food products. It kills me when I see a bakery or restaurant with unappetizing photos taken from an iPhone on their web sites. Food is trickier, but if you do some basic simple things, you can make your product shots look a lot better. Phones are not always good with close-up shots, but many inexpensive standalone digital cameras have macro zoom functions. A macro lens allows you to get a lot more detail on the product itself. 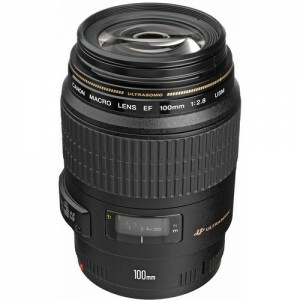 As an alternative, if you do not have a macro lens, take a shot of the product as close as possible without blurring the image and use the highest resolution setting possible. A consistent background is important for product photography. Depending on the nature and layout of your facility, you may want to include your business in the product images. For example, for a restaurant, you might want to show a popular dish next to a bottle of wine on one of your dining room tables. If you decide to go this route, think about whether it makes more sense to pick different locations and angles for different products or to shoot all of the images from one spot. There are two easy and inexpensive ways to create a backdrop that I use regularly. One option is to get a lightbox for small product images. Lightboxes are compact and portable, and you can buy them for as little as $25 for a basic model. You can even build your own lightbox. Alternatively, you can buy a roll of butcher paper or equivalent white paper. This is an easy route to go, especially if you are planning to take pictures of something too large for a lightbox. Most types of product photography require the expertise of a professional, but even on your own you can significantly improve the quality of your images using these techniques.